Though he towers over most of us at 6’2″, you will never find Luke Kisielewski without a gentle smile and a warm hello. He’s been an endearing and humble fixture on our mats for the better part of 2 years, but up until recently, he would have described himself as painfully shy and quiet. In the past year, Luke made a conscious choice to live his life a little differently, and a small shift made a huge impact on multiple aspects of his life. If you asked him what happened, he would say he just decided to, ‘Stop and look around a bit’. You could say that what he discovered in those small moments of time changed his life forever. Born into a proud immigrant Polish family, Luke is the youngest of 3 and only son to Jozef and Maria. The Kisielewski family moved from Wloclawek, Poland, to Helmetta, NJ in 1987 where he and his sisters grew up and attended school. During his high school years, Luke dabbled in football, but ultimately didn’t feel that the sport or culture suited him. It wouldn’t be until many years later that he would discover martial arts, which he felt he could incorporate into a lifelong practice. As an adult, Luke moved to Ewing where he purchased his first home and became a consultant for software utilization in the educational field. Though his life was stable by most means, his social life was steeped in poor eating habits and heavy drinking. When describing how he felt about himself at this time, he said that he was ‘unconfident and shy’ and was unhappy with his lifestyle. 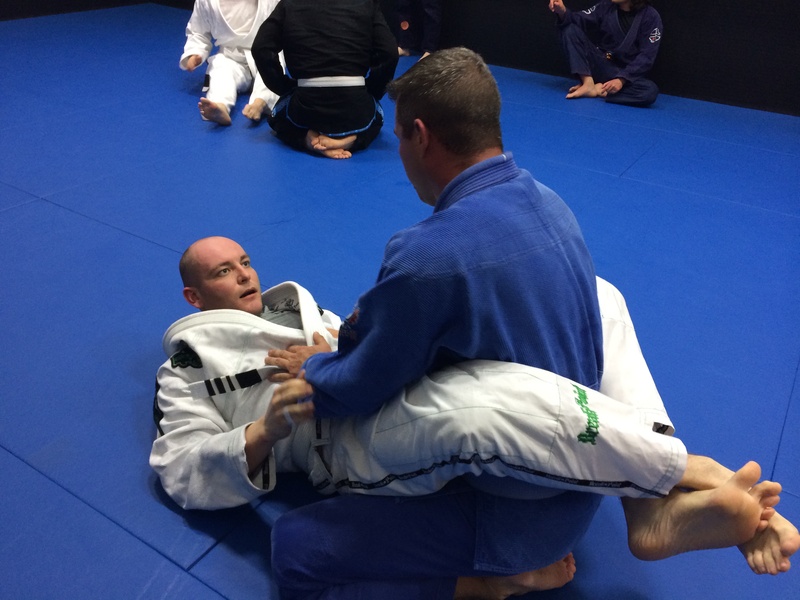 After deciding that he wanted to make some positive changes in his life, he began looking into various martial arts and combat sports that he could get involved in. 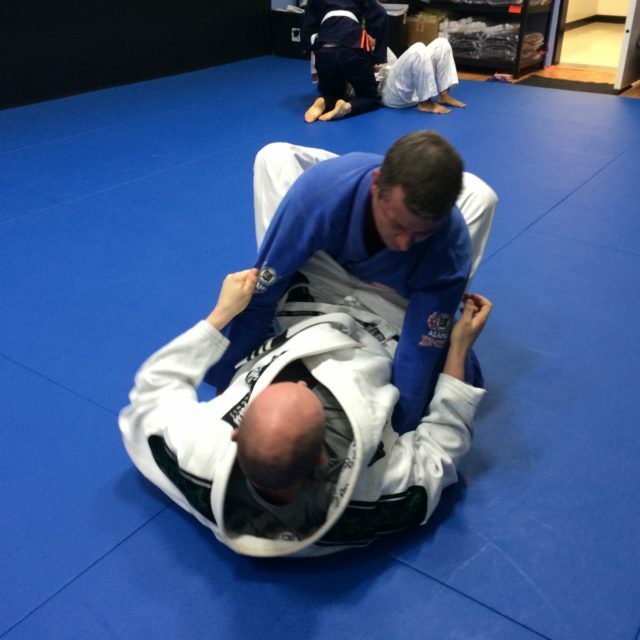 He said he was drawn to Brazilian Jiu Jitsu because he didn’t see too many older or mature role models practicing sports like Muay Thai or Boxing, but he saw that BJJ accommodated people of all ages, genders, shapes and sizes. 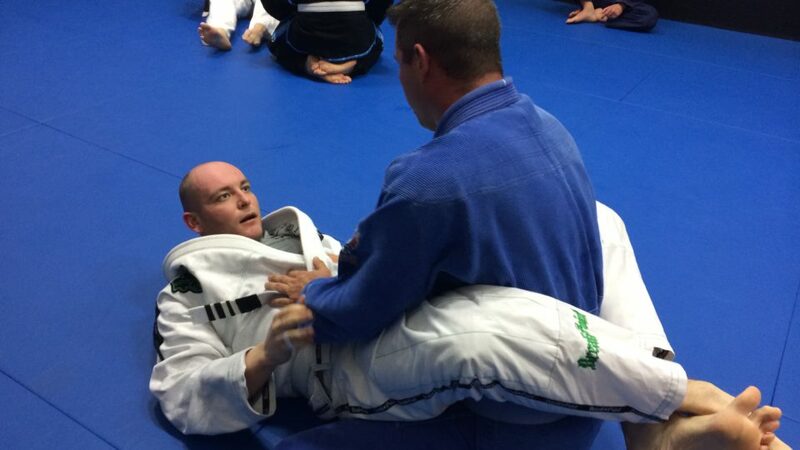 Once he decided on BJJ he took the biggest and most difficult step of his journey – physically going to a school and trying out a class. 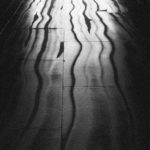 His early years were littered with some false starts and bumps in the road because he assumed at the time that paying tuition and intending to be a ‘student’ automatically drew you into the culture. He realized very quickly that this wasn’t the case, and that in order to be a part of something, he had to be an active party in it. When looking back, he believes the right moment hadn’t come for him to fully embrace the work it would take to improve the quality of his life and thrive in the community around him. Then last year, Luke made a commitment to himself to be more patient and to try and stick with a consistent training routine. He slowed his view of the world down and spent more time and energy focusing on the simple things in life. He stopped to notice where he was, the people he was with, the beauty of each passing moment. By paying more attention to everything going on around him, he began to pay more attention to himself. 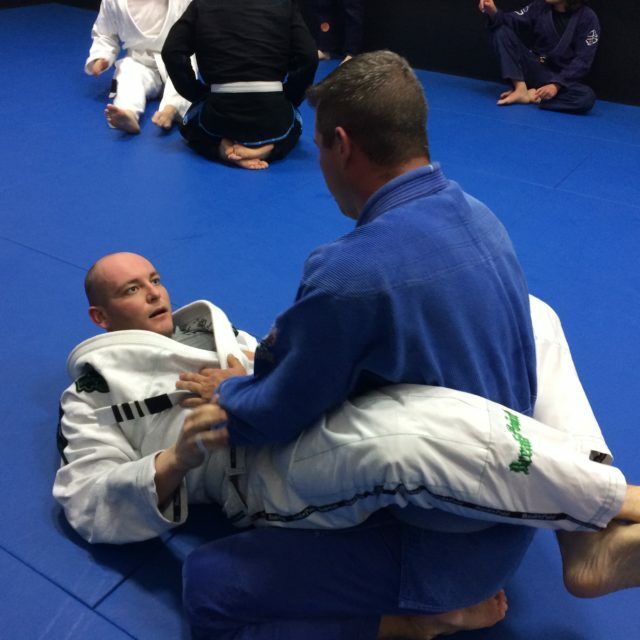 As a result, he’s lost over 80lbs (and still counting), is making better diet choices, and feeling like he is a valuable member of our BJJ family. His confidence has improved, he is motivated to continue living a healthy lifestyle, and is now working towards bigger goals like financial growth and stability. When you ask him what’s changed, he can’t pinpoint a defining moment or factor, but he will say that coming to class on a regular basis and having daily interactions with his peers helped strengthen his communication skills on a broader social level. Feeling comfortable around his classmates helped empower him as a person, and as a result, a more optimistic and colorful person emerged. You can tell that Luke has always been a kind hearted and considerate person to those around him. 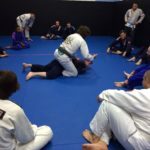 What is most striking to me today as his instructor is that he genuinely believes in his potential as a great human being and he believes he is worthy of whatever success he sets his mind to. In 5 years time he says hopes to be more a more physically and mentally complete person and that he’d like to find a special partner in his life. When you ask him what advice he would give to someone struggling to find their inner confidence, he tells them to slow down and appreciate what is going on around them. Perhaps they’ve been in such a rush to be somewhere else that they’ve neglected to see the good things that already exist.